Periodontal disease is more common than you might think. At Dennis J. Coleman DDS in Davidson NC, we see patients with gum disease every day. Because it exhibits few symptoms at first, some patients aren’t even aware they have it. Fortunately, it can be treated. 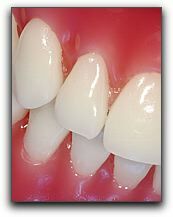 What is periodontal disease? More commonly called gum disease, it is an inflammation or infection of the gums. Int its mildest forms, gum disease is called gingivitis, and affects only the gums. But it can get worse, and get below the gumline into the bone. In extreme cases, periodontal disease can be very painful, and can limit your ability to eat normally. If left untreated, periodontal disease can cause irreversible damage such as tooth loss. When caught early and treated, periodontal disease can be managed and cured. The best approach is to be preventive, and practice good dental hygiene. One of the best ways to avoid gum disease is to get regular dental check ups. At Dennis J. Coleman DDS in Davidson NC, we provide general dentistry that can catch the early signs of gum disease. Call us to schedule an appointment.